It’s official. According to the U.S. Attorney for the Southern District of Florida, Florida has the nation’s highest rate of identity theft— with Miami leading the entire country when it comes to identity theft, tax fraud as well as Medicare and mortgage Fraud. These statistics are based on data collected in 2012. 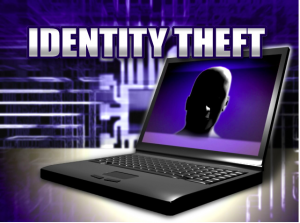 But, according to U.S. Attorney Ferrer, identity theft could surpass these figures this year as income tax filing season approaches giving a criminal armed with a laptop and an Internet connection the opportunity to easily file hundreds of fraudulent tax returns. Interestingly, among metropolitan areas, the Miami region topped the identity theft charts at more than 645 complaints for every 100,000 residents and Florida has all five top identity theft regions: Naples, Tampa-St. Petersburg, Fort Myers-Cape Coral and Tallahassee round out the national top five. What does this mean for the South Florida criminal justice system? It is the experience of the Miami Identity Theft Attorneys at Whittel & Melton that reports like these bring more media scrutiny of these crimes, many times resulting in public pressure on law enforcement to make more arrests and obtain more convictions. In the coming months, you can expect to see news coverage of sting operations focusing on apprehending large rings of identity thieves and tax fraud. And, law enforcement will get additional funding from the Federal Government to focus on curbing these crimes. Identity theft is a felony offense and may include a state prison sentence of 2 to 8 years or 6 to 20 years, as well as fines. The specific sentence depends on the extent of identity theft that you are accused of being involved. If you are being investigated or have been arrested for identity theft in Florida, the Miami, FL Identity theft defense attorneys at Whittel & Melton have the experience, knowledge and resources to be effective both in and out of court. Call us today to discuss your case. Our experienced Florida Criminal Defense Attorneys are ready to consult, defend and vindicate clients charged with federal crimes throughout the state of Florida, including Miami Dade County, Broward County and Palm Beach County.